» How Do You Get Guys to Join Your Fraternity? This is an extremely open question and really can’t be answered in one article. 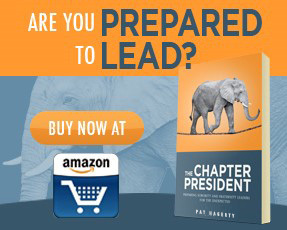 Please note that I have written about 30 articles on Fraternity Recruitment, and it is the topic of the first 27 pages of my book – The Fraternity Leader. That is where you will find the complete answer to your question. That being said, I will give you three tips. First, remember that fraternity recruitment is not just the two weeks of fraternity rush. Focus on meeting these people year-around, and make them your friends. If they are already your friend, you will have a much easier time getting them to commit to your fraternity. Second, be sure you understand why someone would join your fraternity. You say your fraternity is up-and-coming on your campus. Why? What are the things your chapter offers that are different from other chapters on your campus? What makes you better? What do you have planned that your brotherhood is really excited about? You have to have a full understanding of yourself before you will be able to convince others to join your fraternity. Third, have confidence in your fraternity. You said in your question that your fraternity doesn’t have the reputation that others have on your campus. To me, it sounds like you have doubts that your fraternity is as good as others at your school. Be proud of your fraternity and your brotherhood. Tell anyone who will listen that your chapter is the best on campus. Let recruits know that your fraternity is great. I promise you that before long your confidence will permeate to the rest of the brotherhood and eventually to others on campus. No one will believe you are great before you believe it yourself. I hope this helps. Be sure to refer to my past articles on Fraternity Recruitment for more advice. 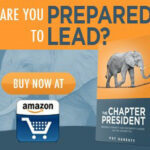 If you really want to get the best recruitment advice I offer, check out my book The Fraternity Leader.